Siding protects your biggest asset, your home! Not only does new siding enhance your home’s curb appeal, it also makes your home more energy efficient. If you are thinking about replacing your siding, let Above & Beyond combine your personal style with our expertise, making your siding replacement decision an educated and stylish one. Thank you for your interest in our special offer! A representative will contact you shortly to discuss your needs in greater detail. Vinyl siding and paint both fade in the sun. ColorPlus Technology is specifically engineered to help resist damaging UV rays, so your color will stay vibrant for longer. Severe weather will test the strength of your home. Hurricanes, hail and blizzards hit hard and fast. Your choice of siding, along with proper installation, can help your home stand up to these unpredictable elements. James Hardie fiber cement siding helps resist the impact of hail and windblown debris and is designed to perform in extreme heat and cold. Water can damage your home like nothing else can. It may be gradual, but it is relentless, and can cause mold, swelling, cracking, and color separation. This is where James Hardie stands out from its competitors. James Hardie siding will not ignite when exposed to a direct flame, nor will it contribute fuel to a fire. Fire feasts on wood, and it melts vinyl almost instantly. Pests can wreak havoc on some types of siding. Wood, or wood-composite siding can be pecked by birds and devoured by insects. James Hardie fiber cement siding offers little appeal to animals and won’t be eaten by termites. Protect your home with America’s #1 brand of siding backed by an exceptional warranty. Unlike other brands, James Hardie doesn’t prorate our siding warranty coverage. We stand behind our siding 100% for 30 years. There is more to the exterior of a house than just siding. That’s why James Hardie offers a wide variety of products for a complete building solution. 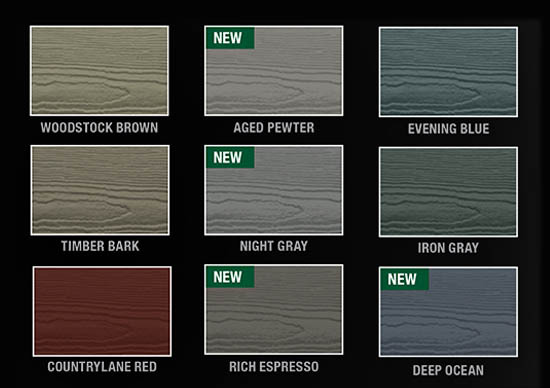 In addition to the complete line of siding products, James Hardie offers a full line of trim and soffit profiles, as well as house wrap to choose from. We are committed to using quality products that make your home look beautiful but that are equally durable as well. At Above & Beyond, we believe that siding should last the lifetime of your home. To ensure our clients receive best in class materials we proudly offer James Hardie fiber cement siding as our preferred siding material. Fiber cement siding is a composite material made of sand, cement, and cellulose fibers and provides a durable, low-maintenance siding product with the natural look of wood. James Hardie siding products installed by a preferred contractor can make your siding replacement project a once-in-a-lifetime experience. Everyone’s vision for their home is different. 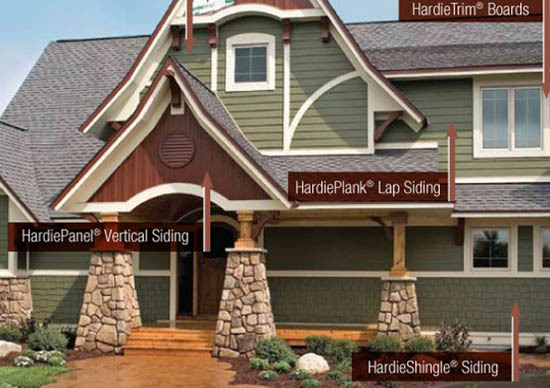 James Hardie offers a wide selection of siding options in a variety of sizes, colors and styles, including lap siding, shake siding, and board and batten siding. Advanced ColorPlus Technology finishes deliver the ultimate in aesthetics and performance. Get a FREE, No Obligation Quote by calling 732-589-7769 or by submitting the Quote Request Form. Everyone stops and compliments our new Hardiplank siding. FREE ESTIMATES JUST A FEW CLICKS AWAY.